Dinosaur extinction is still a major enigma of earth history. In this review article, extinctions in the geological record will be briefly mentioned. 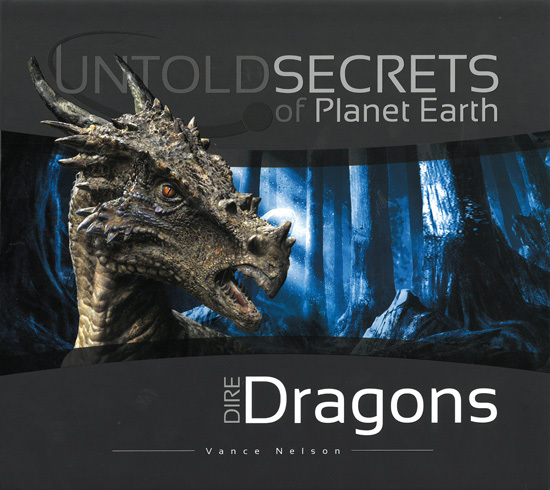 Many of the imaginative theories for the extinction of the dinosaurs will also be presented. Within the uniformitarian paradigm, the meteorite impact theory, once considered ‘outrageous’, now is the dominant theory. However, the volcanic theory is still believed by a majority of palaeontologists. Both theories have their strengths and weaknesses. The unscientific behaviour of those involved in the meteorite paradigm change will be briefly explored. Evidence that the dinosaurs died in a cataclysm of global proportions will be presented, such as the huge water-laid dinosaur graveyards found over the earth. Occasional monospecific bone-beds and the rarity of fossils of very young dinosaurs suggest a catastrophic death and burial. The billions of dinosaur tracks recently discovered provide testimony to unusual, stressful conditions. Nests, eggs, and babies are a challenge to a Flood model, but there are enough unknowns associated with the data that solid conclusions are difficult to draw. The part that impacts and volcanism play in a Flood paradigm will be briefly discussed. The question of whether the K/T boundary and the extinction of the dinosaurs should be considered a synchronous event within the Flood will be considered. Figure 1. 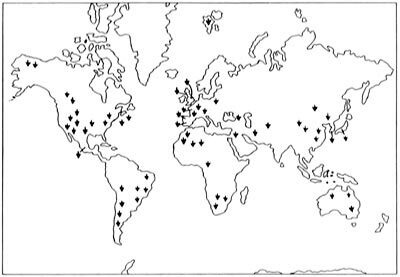 Worldwide distribution of dinosaur footprint discoveries. About 1,500 locations have been known to yield dinosaur tracks. Figure 2. 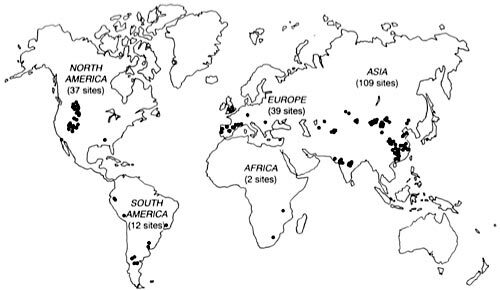 Worldwide distribution of the 199 sites where dinosaur eggs have been found. Major deposits are few. The fragile eggs were easily broken and then dissolved in groundwater. Most of those that were fossilised go unrecognised by the untrained eye. 9. Late Precambrian Marine regression, anoxia, sluggish ocean, biological stress, etc. Table 1. Nine major mass extinctions and their suggested cause or causes. Some dinosaur extinction theories postulate that dinosaurs died from the cold, while others suggest the beasts died from the heat, or else it was too hot in the summer and too cold in the winter. One theory hypothesises that the climate became too wet, while another that the climate dried out to kill off the dinosaurs. The dinosaurs could have starved to death or died from overeating. Or their extinction may have been caused by a nutritional problem, such as newly ‘evolved’ flowering plants not providing the proper nutritional balance. Or the flowering plants could have evolved poisons that killed the dinosaurs, as some theorise. A variant on the poisoning theme is that poisonous insects evolved and stung the dinosaurs into extinction. Others thought the water became poisonous with chemicals. Another ingenious twist is that butterflies and moths evolved and the larvae stripped the plants of leaves causing the herbivores to pass away, bringing on the extinction of the carnivores. Another theory suggests the herbivorous dinosaurs simply changed their eating habits to a less favourable diet, causing the demise of all the dinosaurs. Some postulate that too many carnivores decimated the herbivorous dinosaurs. Astronomical or geophysical causes have often been invoked, for instance a change in the earth’s gravity, the axial tilt, or a reversal in the magnetic field. Some postulate a sudden bath in cosmic radiation. One theory, reinforced at one time by the iridium anomalies in sedimentary rocks, is that a supernova exploded near the earth.45 In this case the supernova would have increased the solar proton flux, which would have broken down the protective ozone layer, allowing ultraviolet radiation to zap the dinosaurs. Or the supernova explosion could have sharply increased cosmic rays.46 Another imaginative hypothesis claimed that intense volcanism spewed up large quantities of radioactive elements, so that the dinosaurs died of radiation poisoning. In 1978, it was proposed that a spillover of cold brackish water from an isolated Arctic Ocean caused an ecological chain reaction, first killing off the pelagic plankton and ending with the terrestrial animals.47 Another terrestrial theory postulated that the land became too hilly. Many palaeontologists favour a regression of shallow seas, which suppressed dinosaur speciation rates and increased extinction rates. The mechanism for this vague hypothesis supposedly was due to competitive interchange between faunas and increased disease vectors. There is a large list of far-fetched to entertaining theories (some possibly suggested tongue-in-cheek), including extinction by parasites, slipped vertebral discs, hormonal disorders, shrinking brains, chronic constipation, over specialisation, inability to change, becoming too large, senility, hyperpituitarism, cataracts, racial senescence (they simply lived long enough), and social problems causing malformations of their bones during growth. Charig lists the following as the most outrageous: poison gases, volcanic gases, meteorites, comets, sunspots, God’s will, mass suicide and wars.50 Interestingly, volcanism, meteorite impacts and cometary collisions are now the major contenders, and I will argue that the real reason is an ‘act of God’ through the agency of the worldwide Genesis Flood. ‘Outrageous’ geological theories, for example, J. Harlen Bretz’s Spokane Flood as the origin of the channelled scabland in eastern Washington, USA, should not be so freely dismissed. Ever since 1980, the meteorite hypothesis has swept to centre stage, and a large literature now surrounds it. Back in 1979, the meteorite hypothesis was considered outrageous by many geologists. The turnaround came with the discovery of an iridium (Ir) anomaly at the Cretaceous/ Tertiary (K/T) boundary.56 In thin clay layers (1 cm to several tens of centimetres thick) found at Gubbio, Italy, and at Stevns Klint, Denmark, the contained Ir concentrations were increased 30 and 160 times respectively above background levels. The earth’s crust is depleted in iridium and other platinum group elements, while meteorites are enriched in them. A 10 km diameter meteorite was said to have injected 60 times its mass in pulverised rock into the stratosphere, causing a cooling trend that wiped out about 50 percent of the biota, including all the dinosaurs. Conversely, others envision the impact caused a sudden, short-term temperature rise, instead of cooling from a ‘nuclear winter’-like mechanism.57 The sudden heating supposedly was caused by an oceanic impact which injected water into the stratosphere producing a ‘vapour canopy’ effect. The discovery of shocked quartz in eastern Montana, USA, in 1984,64 and at many other sites around the world65 since then, is considered further proof of the meteorite hypothesis. Shocked quartz differs from ordinary quartz, in that the crystal lattice has become compressed and deformed by pressure. Under a scanning electron microscope, the quartz exhibits planar striations in one or more directions on a crystal face. Thus, the meteorite extinction theory has seemingly been verified by an overwhelming amount of observational data. The triumph of the meteorite theory has come with much dissent, especially from palaeontologists who opted for a volcanic mechanism, often combined with marine regression, to explain the data.72,73,74,75 Even in spite of what seems like impressive confirmation of the meteorite theory and reinforced by the scientific press and news media, the dispute continues.76 If you read only the evidence for the impact theory, you would be impressed. However, if you read further the evidence for the volcanic theory, you would discover that the meteorite theory is not as well supported as it may seem. Volcanic adherents point to the evidence of massive volcanism around the K/T boundary, for instance, the 1 million km3 of Deccan basalts in India and the extensive volcanism in western North America related to the Laramide Orogeny. To them, it is more logical that the dinosaurs died out gradually from all this volcanic activity. As it turns out, iridium is also associated with volcanism, especially with dust injected into the atmosphere from basaltic extrusions.77 For instance, the fine airborne particles above an Hawaiian basaltic eruption were found to be highly enriched in iridium, much higher than in the K/T boundary clays at Gubbio and Stevns Klint.78,79 High iridium has also been associated with other volcanic eruptions and found within volcanic dust bands in the Antarctic ice cores. This fine material is of similar particle size as the K/T boundary clay. Because the extinctions near the K/T boundary are believed to be either gradual or stepwise,115 some impact enthusiasts have backed off and instead have suggested extinctions by multiple comet impacts over a 3 million year period.116 The main problem with the cometary hypothesis is that comets have a low abundance of iridium.117 Since relatively small iridium spikes have been found associated with 10 other extinction horizons, some investigators have suggested post-depositional mobility of iridium and other platinum group elements.118 This mobility also would render ambiguous any elemental or isotopic ratios. Adherents to the volcanic hypothesis offer good counter arguments to all the arguments used in support of an impact. However, impact enthusiasts counter all the volcanic arguments. There is evidence both in favour of and against each hypothesis. The meteorite hypothesis severely challenged the uniformitarian assumption.120 But, the impact enthusiasts had chemical data, instead of speculation. The iridium anomalies could not only be observed, but could be further tested at other K/T sites. The finding of iridium spikes at other K/T boundaries convinced most scientists, although at the time the geochemistry of iridium was poorly known, and still is poorly known in a marine environment.121 Eventually, meteorite impacts came to be viewed as part of the uniformitarianism paradigm after all. Thus the meteorite theory was quickly supported and built up by the scientific press, especially by the journals Science and Nature. Then the popular press accepted it as fact, followed by most intellectuals.122 The only group of scientists that were not persuaded were the palaeontologists, except for those who advocated punctuated equilibrium, since the idea of impacts fits nicely into their theory. The palaeontologists had already worked out the order and timing of dinosaur palaeonecrology, and it was a slow evolutionary birth and death. They also did not like ‘outsiders’ such as ‘alien’ physicists (Luis Alvarez was a famous physicist who had received the Nobel prize) messing around in their speciality.123,124 Palaeontologists mostly favour the volcanic theory with marine regression. So, before 1980 scientific bias was against the meteorite theory, but afterwards it was against all other theories. Scientists, nowadays, barely consider the palaeontologists’ arguments, many of them quite good from the uniformitarian standpoint. They simply believe the iridium anomalies and the shocked quartz grains prove the meteorite theory. Biases were so strong that scientists resorted to many unscientific ploys to get their personal way, such as verbally attacking one another; using polemics to push their preferences, sometimes using outdated data; refusing to publish key data; and refusing grants for research they did not agree with.129,130 An after-the-fact study by William Glen indicated that few, laymen and scientists alike, really knew much about the issue.131This is a sad state of affairs within science—it is no different when it comes to the creation/evolution controversy. Could the reason the extinction of the dinosaurs remains such a major mystery be because of the uniformitarian bias within historical geology? Although there are still many unknowns associated with the observed fossil data on dinosaurs, and the information that is available is often incomplete and interpreted within the evolutionary/uniformitarian paradigm, much of what is known so far fits quite well within the Flood paradigm. The most obvious aspect of dinosaur fossils is that most dinosaurs must have been buried rapidly in water. Alternately, the dinosaurs could also have been entombed in giant mass flows. Based on the random mixing of charcoalised wood with sand found in Colorado and northeastern Wyoming, Edmond Holroyd provides evidence for at least region-wide catastrophic debris flows associated with dinosaur remains.133,134,135Furthermore, after burial fossilisation must have proceeded rapidly under special conditions in which minerals moving through the saturated sediments replaced the organic matter. Therefore, it is no surprise that water is closely associated with the burial and fossilisation of the dinosaurs. Clemens states that organisms must be buried rapidly by rare (in his mind 100-year or 500-year events) floods in order to be preserved as fossils.136 The largest dinosaurs must have been buried by even ‘rarer’ floods. A sizeable number of dinosaurs were entombed in obvious marine sediments.137,138,139 In assumed terrestrial sediments (the equivocal environmental designation of a terrestrial environment will be briefly discussed later), mainstream scientists commonly interpret the action of water as ‘fluvial’. For diluvialists, the dinosaurs could have been buried either by sheet flow or channelised flow; either one is possible in a global Flood depending upon many variables. A cataclysmic event obviously is implied. There are many other dinosaur graveyards in western North America, practically all, if not all, indicating catastrophic burial by water or aqueous slurries. It is doubtful a sandstorm could freeze-frame a brooding dinosaur. Usually any little disturbance will cause an animal to leave its eggs. There is the added question of how the dinosaurs are to be fossilised in a desert. It is more likely this powerful sandstorm was a ‘giant watery sandwave’ in a catastrophic flood. The pervasive lack of very young dinosaurs and the occasional monospecific bone-beds of broken and disarticulate bones is most unusual. Some type of herding behaviour is normally invoked to explain monospecific bone-beds, although the stratigraphic character of some bone-beds does not favour this hypothesis. The lack of young juveniles in the monospecific bone-beds is perplexing, because young dinosaurs should have accompanied older dinosaurs in a herd, as observed in herds of animals today. The character of these bone-beds has given rise to a number of speculative theories, including local catastrophes. One would expect that local catastrophes, such as a flash flood or a volcanic eruption, would entomb more than just one type of animal. Could these monospecific bone-beds containing older juveniles and adults provide further evidence of a unique watery catastrophe? One would surmise that during the initial onslaught of the Genesis Flood, adult and older juveniles would have been better able to flee the encroaching Flood waters. 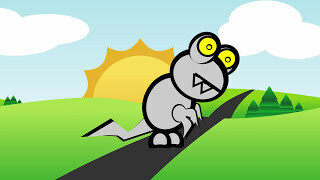 Dinosaurs of the same species may then have herded up, when normally they do not, only to be later buried together. Herding behaviour during times of stress is observed today among elk during cold, stormy weather; cattle before earthquakes; and many other species. The herding in this case would have nothing to do with ‘gregarious behaviour’ as some evolutionists surmise. Is it possible the reason for the rarity of baby dinosaurs outside nesting areas is because they could not keep up with the fleeing herd and perished quickly. Their bones were not fossilised probably because they were too fragile. Dinosaur tracks also provide more details on unusual conditions during their formation. The importance of dinosaur tracks is that they represent live animals, so that in a Flood model, the tracks were made within the first 150 days of the Flood.174,175 In the western United States, billions of dinosaur tracks have recently been discovered.176,177,178 Of special note are the megatracksites. One megatracksite in south-east Utah is on the upper boundary of the Entrada Sandstone, a supposedly desert sandstone. All the tracks are from a fairly large, carnivorous theropod. It is indeed strange that one type of dinosaur lived in a large area of an alleged desert. What were they supposed to eat in a desert? The evidence could be better interpreted as a group of theropods embarking on a temporarily exposed sandy surface during the Flood. Since tracks must be buried rapidly within a matter of days or weeks to be reserved,179 the sandy exposure was brief, followed by another depositional event. A ‘dinosaur freeway’ has been discovered that stretches from north-east New Mexico to north-west Colorado. The tracks are generally of two types and are found on multiple stratigraphic levels that supposedly span several million years. Since the strata containing the tracks are probably conformable, it does not seem reasonable that only two types of dinosaurs used this ‘freeway’ over several millions of years. It is more reasonable that dinosaurs found a linear strip of land (or a series of shoals separated by shallow water) during the Flood while the sea level was oscillating and sediments were being deposited. There are also a number of features of the tracks that not only are better understood within a diluvial model, but also tell us some of the unique events that occurred during the Flood. First, the tracks are practically always found on bedding planes,180 generally capping sedimentary units, which suggests a cycle of sedimentation during the Flood followed by a brief exposure above the water. Why wouldn’t the tracks be found throughout the beds if the sediments were deposited slowly over long periods of time? Second, the lack of relief on the track-bearing strata181 indicates a rapid sedimentation event forming flat strata over a huge area. Otherwise, erosion over millions of years would have produced at least hilly topography and, therefore, tracks would traverse up and down hills. Indeed, the observations of the ‘Morrison Formation’ bear striking evidence for catastrophic sheet flow, and not slow processes over millions of years. Third, unusual, stressful conditions are also indicated by the fact that practically all trackways are straight.185 Lockley and Hunt state: ‘First, the sauropod was changing direction, turning to the right, a phenomenon rarely recorded in trackways.’186 Any deer or elk hunter knows that land animals frequently meander, especially while looking for food. Straight tracks are usually made when the animal is in a hurry, escaping a predator or a hunter, or rapidly migrating. Even in these situations, the trackways will sometimes curve or meander a little. The fact that practically all dinosaur trackways are straight strongly favours animals desperately trying to escape some catastrophe. The worldwide extent of these straight dinosaur trackways provides evidence for a cataclysm of global proportions. Regarding this claim of taxonomic bias, it is interesting that 50 percent of the elephant tracks from Amboseli National Park, Africa, were made by juveniles.190 Although elephants probably grow much slower than dinosaurs grew, and it can be difficult recognising a small track, dinosaurs are expected to have produced many more babies than elephants. So the reasons for the rarity of tracks of both babies and juveniles is not in accord with observations from the modern world, and hence it is against the uniformitarian principle that guides geological thought. The lack of tracks of young dinosaurs fits better into the Flood model, in which babies and juveniles were less able to flee the encroaching Flood waters and hence were unable to make too many tracks. Fifth, another uniformitarian puzzle that is better explained within a Flood paradigm is the nearly complete absence of tracks of stegosaurs, ankylosaurs and ceratopsians, although they are certainly heavy enough to make tracks and their skeletal remains are common.191 Their thick armour and large bony plates suggest they were poor swimmers (in the track record, there is evidence of swimming dinosaurs and dinosaurs making tracks in shallow water192,293,194) and so they probably succumbed to the first inundation of their habitat. In summary, all these unusual characteristics of dinosaur tracks do not fit into the uniformitarian paradigm of slow, gradual processes over millions of years. The evidence fits better a time of worldwide stress on dinosaurs trying to escape rising Flood waters. Since the tracks were made on hundreds to thousands of metres of Flood sediments, the evidence, as with bone-beds, indicates briefly exposed sediments or shallow water during the period of rising Flood waters.195 Track layers on more than one bedding plane represent brief exposures during a generally, continuous sedimentation event. The oscillations in local sea level would have been caused by local or distant tectonic events, tides, the dynamics of the Flood currents,196 tsunamis, etc. Can dinosaur nests, eggs, and babies be explained within the Flood? Several features of the nests, eggs, and babies appear to contradict the above Flood model; it seems as if too much time was required for all the indicated dinosaur activity.202,203,204 For example, at a few locations, eggs have been found at two or three stratigraphic horizons, for instance, at three levels within a 3 m vertical section on Egg Mountain.205 It also has been reported that 15 baby Maiasaurs, found in and around a nest 1 km north of Egg Mountain, north-central Montana, had grown for a while. With the above example in mind, let us take a cursory view of Egg Mountain and vicinity. In north-central Montana and southern Alberta, there are several claims for nests, eggs and babies at multiple stratigraphic levels. However, in one instance the ‘different levels’ are many tens of kilometres apart.212,213 Since outcrops are isolated, the stratigraphy could easily be a little confused, due to facies changes or erosion that could have stripped more strata from one area than the other. In these cases, the eggs could be at the same time horizon. There is new information and several observations that suggest that there is more to the story of what happened on Egg Mountain. First, there is some question on the number of horizons with anywhere from two to four suggested. Second, the dinosaur eggs are no longer considered hypsilophodonts, but the theropod Troödon.221,222 This mistake was easy to make at the time since there was little skeletal material of Troödon and the bones of each are similar in many ways. There are eggs from a second type of dinosaur called? Troödon, which is not Troödon but from an unknown species. The 20 to 25 partial dinosaur skeletons at Egg Mountain are still considered Orodromeus, but they had not been hatched from the egg clutches, which are now Troödon eggs. Third, the eggs may or may not have hatched. Just because the tops of many eggs were broken, does not necessarily mean the dinosaurs hatched. There are other possible explanations for this observation. Broken egg tops could have been caused by erosion from the next sediment layer or by compaction of the sediments. The tops of the eggs could have been broken by scavengers, for which there is abundant evidence in the area. There are fossils of small mammals, varanid lizards, pterosaurs and other types of dinosaurs at Egg Mountain.223,224,225,226Troödon teeth are abundant at Egg Mountain.227Troödon teeth are commonly associated with eggs at other sites of north-central Montana and southern Alberta.228,229 Could Troödon have cannibalised its own eggs on Egg Mountain, as is suggested for Coelophysis from the dinosaur graveyard at Ghost Ranch, New Mexico?230 Teeth of Albertosaurus, very similar to T. rex, also are found at Egg Mountain.231 Skeletons of 20 to 25 young dinosaurs are scattered among the eggs.232 Could they have scavenged the eggs? All this evidence suggests the eggs may have been scavenged after being laid, which need not take a long period of time on exposed land during the Flood. One horizon contains eight closely-spaced ‘nests’, two that contained hatched baby dinosaurs. This is the horizon where 15 babies were found associated with a nest-like structure, 11 babies inside and four around the perimeter. The skeletons are 1m long. The ones in the ‘nest’ were disarticulated and jumbled together, a rather unusual condition for babies that supposedly died in a ‘nest’. One of the other eight ‘nests’ contained babies only 0.5 m long. Babies 0.5 m long were also found outside the ‘nests’.236 So, it appears that the 1 m long babies in the ‘nest’ grew for a while, suggesting mothering dinosaurs. Horner believes they grew rapidly and reached 1 m in length in about one month. It is possible that during the first 150 days of the Flood the Maiasaurs laid eggs and that the babies hatched and grew to 1 m long. However, the idea of mothering dinosaurs for altricial babies has recently been challenged.237 If this claim is true, the mothers did not need to care for their young. Then what were the 15 babies each 1 m long doing in and around one of the ‘nests’? If eight duckbill dinosaurs made nests at the same time, which the evidence suggests, why are some babies only 0.5 m long and some 1 m long? Is it possible that multiple-sized babies were hatched at the same time? Are the claimed nests really nests made by mothering duckbill dinosaurs? They appear to be so, but other explanations are possible, especially in view of the possibility that baby Maiasaurs were precocial. At this point, whether the baby Maiasaurs were precocial or altricial is controversial. There are still too many unknowns to answer these questions. Further data may indicate whether the above observations of fossilised dinosaur eggs are general or rare. If general, they would indicate unusual conditions; if rare, they probably would be the result of chance. The adherents of the meteorite theory and the volcanic theory for the demise of the dinosaurs possess both supportive and contrary data. The contrary data indicate that neither mechanism is the full story. Creationists expect the Flood to have been a volcanic, tectonic, and hydrological cataclysm. Both submarine and subaerial volcanism is expected, and indeed there is abundant evidence for volcanism in both Precambrian250and Phanerozoic251 sedimentary rocks. In Montana, Wyoming and southern Alberta, the dinosaur-bearing beds contain copious amounts of volcanic material. So volcanism could easily be associated with the demise of the dinosaurs during the Flood, but not the main cause. However, it is very likely that meteorite impacts also occurred during the Flood. Jeremy Auldaney suggests that impacts triggered the Flood.252,253 Carl Froede and Don deYoung propose that a planet broke up between Mars and Jupiter, based on the Titius-Bode relationship. The debris from this breakup was responsible for the cratering observed in the Solar System, with most impacts on earth occurring during the Flood.254 These authors are probably correct, since both the pre-Flood and post-Flood time-frames are expected to have been times of relative geological quiet.255 Furthermore, there are around 150 probable impact craters now known on earth.256 Most of the impact craters are dated between 1 million and 1 billion years.257 One would expect that most of these 150 impacts occurred during the Flood, especially if the Flood/post-Flood boundary is generally in the late Cainozoic of the uniformitarian timescale.258,259,260 The reason for this deduction is that erosion since the Flood has been slight, especially in areas not glaciated.261 An impact within the Flood is expected to have been greatly eroded and filled with sediment, showing just the bare circular outline, with little or no detectable ejecta. On the other hand, a post-Flood impact is generally expected to exhibit relatively sharp features plus ejecta, especially in a non-glacial and dry environment. A classic example is the Arizona Meteor Crater.262Therefore, since most impact craters are barely detectable in the Flood sediments, it is likely that most impacts occurred during the Flood. The largest iridium anomalies are probably due to impacts. This is because volcanically-produced iridium is mainly from basaltic eruptions, which probably were underwater eruptions during the Flood.263,264 Either way, multiple impacts and volcanic eruptions would explain the evidence of the many iridium anomalies, shocked quartz grains, tektites, etc. found in the geological record. The rapid sedimentation during the Flood would explain the observation that an iridium ‘spike’ can be composed of multiple spikes or else spread over more than a thin layer of sediment. Uniformitarian geologists date such relatively thick layers as lasting hundreds of thousands of years, but within the Flood an iridium-rich layer would be only an instant of time. Iridium-rich clay falling from the atmosphere would probably accumulate during temporary lulls in the Flood. The clay could fall rapidly due to coagulation of particles. Accumulations of iridium-rich clay would be unlikely at the beginning of the Flood, but more likely during the middle or end of the Flood. This is because of the rapid erosion and sedimentation likely at the beginning of the Flood. If most dinosaur extinctions are not associated with an Ir anomaly, then how could impacts have been the main cause for the death of the dinosaurs? Is the K/T boundary synchronous? All the hypotheses of dinosaur extinction assume that many dinosaurs, ammonites and other groups of organisms died out near the Cretaceous-Tertiary boundary. But is the K/T boundary, especially in relation to the extinction of the dinosaurs, a synchronous event worldwide within the Flood? It probably is not even a synchronous event within the uniformitarian paradigm. The definition of the K/T boundary varies in different parts of the world, depending on whether the strata are presumed marine or terrestrial and depending upon which fossils are found in the strata. Defining a terrestrial or marine environment can be challenging and is normally based on the fossils. Many terrestrial fossils could have been buried in marine environments, especially within a Flood paradigm and even within a uniformitarian paradigm. For instance, a classical late Cretaceous dinosaur site in eastern Montana is considered a terrestrial environment. However, shark remains are also found. Since dinosaurs and coal are abundant, the shark remains are relegated to having lived in a ‘freshwater’ habitat,267 even though sharks are marine today and it seems impossible physiologically to assign extinct sharks to a freshwater environment. In the Flood model, the observation of shark remains among dinosaurs would not be considered unusual, since one would expect that sharks would scavenge floating dinosaurs and occasionally end up entombed with dinosaurs. Even the classical marine K/T section with a large Ir spike at Gubbio, Italy, is not without controversy. One geologist, after careful research, concluded that the section was a reworked Miocene turbidite.272 This idea was published after the section had been touted as a K/T impact horizon. Nevertheless, Alvarez and Lowrie273 jumped all over this result and prevailed. It seems that reworking is mainly invoked to support the prevailing paradigm. The K/T boundary at Gubbio is of reversed palaeomagnetism, so the K/T boundary in other areas also has to be reversely magnetised. However, at least one ocean core at the supposed K/T boundary was found to be normally magnetised.274 These two K/T boundaries are thus probably not synchronous. In eastern Montana, there is a controversy over whether dinosaurs lived into the Tertiary. The K/T boundary in this area is defined by a floral change, but it is also associated with a weak iridium anomaly (an original report of a significant Ir anomaly turned out to be contamination from a platinum ring worn by a technician preparing the samples for analysis279). Dinosaurs have been found above the defined K/T boundary from at least six sites, while ungulates, normally considered ‘Tertiary’, have been found below the boundary.280,281,282 Dinosaurs are also said to have survived well into the Palaeocene in other areas, such as the tropics of India, the Pyrenees, Peru and New Mexico.283 Of course, the data from Montana have been strongly contested with the suggestion that reworking had mixed the fossils.284 Reworking is a common mechanism for accounting for fossils in the wrong strata,285,286 preserving a semblance of order in the slow evolution of organisms with time. In spite of claims of reworking, Keith Rigby and his colleagues are sticking to their claim of Tertiary dinosaurs.287 Despite the merits of the various arguments, the circular reasoning is evident. Another K/T defining criterion for a presumed terrestrial environment is a change in certain pollen or spores. In eastern Montana, the K/T boundary is also defined as the base of the Z coal layer. But some geologists believe this coal bed is diachronous, which would mean this definition of the K/T boundary is subjective.288 The problem for defining the K/T boundary in eastern Montana is compounded due to the many coal beds and the scattered nature of the outcrops. And in correlation of widely scattered outcrops, there is the common problem of lateral facies and fossil changes that can cause uncertainty even in local and regional correlations. Even though the various fossil definitions of the K/T boundary are asynchronous, could an Ir anomaly be used to define a synchronous K/T boundary, whether in a uniformitarian or a diluvial paradigm? The problem here is that there are many Ir anomalies in the strata, and many of the spikes at the ‘K/T boundary’ are weak or non-existent. In regard to dinosaur extinction, few dinosaur localities are even close to the defined K/T boundary, and even fewer are close to a significant Ir anomaly. There is also the problem that the K/T boundary is sometimes ‘defined’ by the Ir spike,293,294,295 introducing an element of circular reasoning. Although palaeontologists believe most of the age differences between various defining fossils are minor, it underscores the subjective nature of the process and some of the problems in choosing the ‘K/T boundary’. The various K/T boundary defining criteria, as viewed by uniformitarian scientists, are probably asynchronous. Therefore, creationists should not assume the ‘K/T boundary’ and the extinction of the dinosaurs is a synchronous event within the Flood. Despite the many theories on dinosaur extinction, including the currently popular meteorite impact theory, the demise of the dinosaurs is still unexplained. Wherever dinosaur bones are unearthed, the evidence predominantly suggests catastrophic entombment by water, sometimes by clearly marine water. Just the burial and fossilisation of such massive hulks as the large dinosaurs indicates catastrophic action. There is also evidence that some dinosaurs were rapidly buried in at least regional debris flows. The large dinosaur bone-beds especially indicate a major catastrophe. Some of these bone-beds represent the remains of one dinosaur species, an unusual taphonomic condition. Babies and young juveniles are almost entirely missing as fossils, another enigmatic occurrence for those who assume uniformitarianism. Billions of dinosaur tracks have recently been discovered, and these provide further evidence for unusual, stressful conditions. For instance, the tracks do not traverse hills, they are practically always orientated in a straight line, there are very few tracks of baby dinosaurs, and some dinosaurs that may have been poor swimmers are nearly absent. It is suggested that dinosaur tracks and remains could have occurred during temporary exposure of sediments during the first half of the Flood. Dinosaur eggs, nests, and babies at first glance appear to contradict the hypothesis of briefly exposed sediments during the Flood. However, many unknowns still surround this fascinating evidence of in situ dinosaur activity. The volcanic and meteorite theories for dinosaur extinction have both supportive and contrary data. The data from these theories can be fitted into a Flood model, a model in which the dinosaurs perished at different times within the first 150 days. I appreciate and seek out discussion and input from other creationists. I thank Dr Andrew Snelling and Mr Peter Klevberg for reviewing an earlier draft of the manuscript. I benefited from personal discussions with Dr Robert Brown, Mr Roy Holt and Mr John Woodmorappe, and from the comments of an anonymous reviewer. Sea monsters … more than a legend? Weishampel, D.B., Dinosaurian distribution. 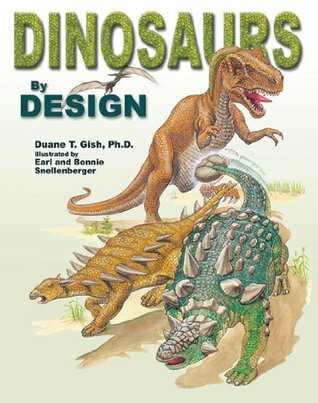 In: The Dinosauria, D.B. Weishampel, P. Dodson and H. Osmólska (eds), University of California Press, Los Angeles, pp. 63–139, 1991. Return to text. Hammer, W.R. and Hickerson, W.J., A crested theropod dinosaur from Antarctica, Science 264:828–830, 1994. Return to text. Colbert, E.H., Dinosaurs of the Arctic, Natural History 73(4):20–23, 1964. Return to text. Weishampel, Ref. 1, p. 139. Return to text. Oard, M.J., Polar dinosaurs and the Genesis Flood, CRSQ 32:47–56, 1995. Return to text. Brouwers, E.M., Clemens, W.A., Spicer, R.A., Ager, T.A., Carter, L.D. and Sliter, W.V., Dinosaurs on the North Slope, Alaska: high latitude, latest Cretaceous environments, Science 237:1608–1610, 1987. Return to text. Parrish, J.M., Parish, J.T., Hutchison, J.H. and Spicer, R.A., Late Cretaceous vertebrate fossils from the North Slope of Alaska and implications for dinosaur ecology,Palaios 2:377–389, 1987. Return to text. Clemens, W.A. and Nelms, L.G., Paleoecological implications of Alaskan terrestrial vertebrate fauna in latest Cretaceous time at high paleolatitudes, Geology21:503–506, 1993. Return to text. Paul, G.S., Physiological, migrational, climatological, geophysical, survival, and evolutionary implications of Cretaceous polar dinosaurs, J. Paleontology 62:640–652, 1988. Return to text. Benton, M.J., Polar dinosaurs and ancient climates, Trends in Ecology and Evolution, 6(1):28–30, 1991. Return to text. Fastovsky, D. E. and Weishampel, D.B., The Evolution and Extinction of the Dinosaurs, Cambridge University Press, London, p. 11, 1996. Return to text. Parrish et al., Ref. 7. Return to text. Colbert, Ref. 3. Return to text. Gillette, D.D. and Lockley, M.G. (eds), Dinosaurs Tracks and Traces, Cambridge University Press, London, 1989. Return to text. Lockley, M., Tracking Dinosaurs—A New Look at an Ancient World, Cambridge University Press, London, 1991. Return to text. Lockley, M. and Hunt, A.P., Dinosaur Tracks and Other Fossil Footprints of the Western United States, Columbia University Press, New York, 1995. Return to text. Currie, P.J., The great dinosaur egg hunt, National Geographic 189(5):96–111, 1996. Return to text. Sanz, J.L., Moratalla, J.J., Díaz-Molina, M., López-Martinez, N., Kälin, O. and Vianey-Liaud, M., Dinosaur nests at the sea shore, Nature 376:731–732, 1995. Return to text. Anonymous, Dinosaurs packed like sardines, Discover 17(2):25, 1996. Return to text. Anonymous, Did dinosaurs need mother love? Science News 149:315, 1996. Return to text. Horner, J.R. and Makela, R., Nest of juveniles provides evidence of family structure among dinosaurs, Nature 282:296–298, 1979. Return to text. Horner, J.R., The nesting behavior of dinosaurs, Scientific American 250(4):130–137, 1984. Return to text. Zi-Kui, Z., Dinosaur eggs in China: on the structure and evolution of eggshells. In: Dinosaur Eggs and Babies, K. Carpenter, K.F. Hirsch and J.R. Horner (eds), Cambridge University Press, London, p. 197, 1994. Return to text. Donovan, S.K., Palaeontological criteria for the recognition of mass extinction. In: Mass Extinctions: Processes and Evidence, S.K. Donovan (ed. ), Columbia University Press, New York, pp. 19–36, 1989. Return to text. Glen, W., How science works in the debates. In: The Mass-Extinction Debates: How Science Works in a Crisis, W. Glen (ed. ), Stanford University Press, Stanford, California, pp. 50, 60, 1994. Return to text. Donovan, S.K., Introduction. In: Mass Extinctions: Processes and Evidence, S. K. Donovan (ed. ), Columbia University Press, New York, p. xii, 1989. Return to text. Erwin, D.H., The mother of mass extinctions, Scientific American 275(1):72–78, 1996. Return to text. Maxwell, W.D., The end Permian mass extinction. In: Mass Extinctions: Processes and Evidence, S.K. Donovan (ed. ), Columbia University Press, New York, p. 152, 1989. Return to text. Oard, M.J., Ancient Ice Ages or Gigantic Submarine Slides? Creation Research Society Books, Chino Valley, Arizona, 1997. Return to text. Kerr, R.A., A shocking view of the Permo-Triassic, Science 274:1080, 1996. Return to text. Sepkoski, Jr., J.J., A taxonomic structure of periodic extinction. In: Global Catastrophes in Earth History: An Interdisciplinary Conference on Impacts, Volcanism, and Mass Mortality, V.L. Sharpton and P.D. Ward (eds), Special Paper 247, Geological Society of America, Boulder, Colorado, pp. 33–44, 1990. Return to text. Perlmutter, S., Muller, R.A., Pennypacker, D.R., Smith, C.K., Wang, L.P., White, S. and Yang, H.S., A search for Nemesis: current status and review of history. In:Global Catastrophes in Earth History; and Interdisciplinary Conference on Impacts, Volcanism, and Mass Mortality, V.L. Sharpton and P.D. Ward (eds), Special Paper 247, Geological Society of America, Boulder, Colorado, pp. 87–92, 1990. Return to text. Orth, C.J., Geochemistry of the bio-event horizons. In: Mass Extinctions: Processes and Evidence, S.K. Donovan (ed. ), Columbia University Press, New York, p. 39, 1989. Return to text. Donovan, Ref. 24, p. 28. Return to text. Oard, M.J., Ice ages; the mystery solved? Part III: paleomagnetic stratigraphy and data manipulation, CRSQ21:178–179, 1985. Return to text. Charig, A., A New Look at the Dinosaurs, Mayflower Books, New York, 1979. Return to text. Charig, A., A New Look at the Dinosaurs, Facts on File, Inc., New York, pp. 149–151, 1983. Return to text. Bakker, R.T., The Dinosaur Heresies—New Theories Unlocking the Mystery of the Dinosaurs and Their Extinctions, Kensington Publishing Co., New York, pp. 425–444, 1986. Return to text. Norman, D., Dinosaur! Prentice-Hall, New York, pp. 146–159, 1991. Return to text. Fastovsky and Weishampel, Ref. 11, pp. 387–429. Return to text. Benton, M.J., Scientific methodologies in collision—the history of the study of the extinction of the dinosaurs, Evolutionary Biology 24:371–400, 1990. Return to text. Charig, Ref. 37, p. 150. Return to text. Eriksson, E., Air-ocean-icecap interactions in relation to climatic fluctuations and glaciation cycles. In: Causes of Climatic Change, J.M Mitchell, Jr. (ed. ),Meterological Monographs 8(30), American Meterological Society, Boston, p. 68, 1968. Return to text. Charlesworth, J.K., The Quaternary Era, Edward Arnold, London, p. 1532, 1957. Return to text. Hallam, A., The end of the Cretaceous, Nature 281:430–431, 1979. Return to text. Hoffman, A., Changing palaeontological views on mass extinction phenomena. In: Mass Extinctions: Processes and Evidence, S.K. Donovan (ed. ), Columbia University Press, New York, p. 4, 1989. Return to text. Gartner, S. and McGuirk, J.P., Terminal Cretaceous extinction scenario for a catastrophe, Science 206:1272–1276, 1979. Return to text. Hallam, Ref. 45. Return to text. Kirkland, J.I., Predation of dinosaur nests by terrestrial crocodilians. In: Dinosaur Eggs and Babies, K. Carpenter, K.F. Hirsch and J.R. Horner (eds), Cambridge University Press, London, p. 124, 1994. Return to text. Charig, Ref. 36. Return to text. Gribbin, J., Did cancer kill the dinosaurs? New Scientist 149:(2012):17, 1996. Return to text. Anonymous, Did neutrinos do in the dinosaurs? Science 271:601, 1996. Return to text. Plummer, J., Death by virus, Discover 16(10):14, 1995. Return to text. Emanuel, K.A., Speer, K., Rotunno, R., Srivastava, R. and Molina, M., Hypercanes: a possible link in global extinction scenarios, J. Geophysical Research100(D7):13,755–13,765, 1995. Return to text. Hecht, J., Did storms land the dinosaurs in hot water? New Scientist 145(1963):16, 1995. Return to text. Alvarez, L.W., Alvarez, W., Asaro, F. and Michel, H.V., Extraterrestrial cause for the Cretaceous-Tertiary extinction, Science 208:1095–1108, 1980. Return to text. Emiliani, C., Kraus, E.B. and Shoemaker, E.M., Sudden dearth at the end of the Mesozoic, Earth and Planetary Science Letters 55:317–334, 1981. Return to text. Orth, C.J., Gilmore, J.S., Knight, J.D., Pillmore, C.L., Tschudy, R.H. and Fassett, J.E., An iridium abundance anomaly at the palynological Cretaceous-Tertiary boundary in northern New Mexico, Science 214:1341–1343, 1981. Return to text. Alvarez, L.W., Experimental evidence that an asteroid impact led to the extinction of many species 65 million years ago, Proceedings of the National Academy of Science 80:627–642, 1983. Return to text. Lerbekmo, J F., Sweet, A.R. and St Louis, R.M., The relationship between the iridium anomaly and palynological floral events at three Cretaceous-Tertiary boundary localities in western Canada, Geological Society of America Bulletin 99:325–330, 1987. Return to text. Fastovsky and Weishampel, Ref. 11, p. 405. Return to text. Shoemaker, E.M., Asteroid and comet bombardment of the earth, Annual Review of Earth and Planetary Science 11:461–494, 1983. Return to text. Pollack, J.B., Toon, O.B., Ackerman, T.P., McKay, C.P. and Turco, R.P., Environmental effects of an impact-generated dust cloud: implications for the Cretaceous-Tertiary extinctions, Science 219: 287–289, 1983. Return to text. Bohor, B.F., Foord, E.E., Modreski, P.J. and Triplehorn, D.M., Mineralogic evidence for an impact event at the Cretaceous-Tertiary boundary, Science 224:867–869, 1984. Return to text. Bohor, B.F., Modreski, P.J. and Foord, E.E., Shocked quartz in the Cretaceous-Tertiary boundary clays: evidence for a global distribution, Science 236:705–709, 1987. Return to text. Orth et al., Ref. 58. Return to text. Wang, K., Geldsetzer, H.H.J. and Chatterton, B.D.E., A late Devonian extraterrestrial impact and extinction in eastern Gondwana: geochemical, sedimentological, and faunal evidence. In: Large Meteorite Impacts and Planetary Evolution, B.O. Dressler, R.A.F. Grieve and V.L. Sharpton (eds), Special Paper 293, Geological Society of America, Boulder, Colorado, p. 114, 1994. Return to text. Wolbach, W.S., Gilmour, I. and Anders, E., Major wildfires at the Cretaceous/Tertiary boundary. In: Global Catastrophes in Earth History: An Interdisciplinary Conference on Impacts, Volcanism, and Mass Mortality, V.L. Sharpton and P.D. Ward (eds), Special Paper 247, Geological Society of America, Boulder, Colorado, pp. 391–400, 1990. Return to text. Ganapathy, R., A major meteorite impact on the earth 65 million years ago: evidence from the Cretaceous-Tertiary boundary clay, Science 209:921–923, 1980. Return to text. Luck, J.M. and Turekian, K.K., Osmium-187/osmium-186 in manganese nodules and the Cretaceous-Tertiary boundary, Science 222:613–615, 1983. Return to text. Fastovsky and Weishampel, Ref. 11, pp. 407–409. Return to text. Rampino, M.R. and Reynolds, R.C., Clay mineralogy of the Cretaceous-Tertiary boundary clay, Science 219:495–498, 1983. Return to text. Officer, C.B. and Drake, C.L., The Cretaceous-Tertiary transition, Science 219:1383–1390, 1983. Return to text. Albritton, Jr., C.C., Catastrophic Episodes in Earth History, Chapman and Hall, Hampshire, UK, pp. 150–158, 1989. Return to text. Officer, C., Victims of volcanoes, New Scientist 137(1861): 34–38, 1993. Return to text. Officer, C. and Page, J., The Great Dinosaur Extinction Controversy, Addison-Wesley Publishing Co., New York, 1996. Return to text. Officer and Page, Ref. 76, pp. 110–129. Return to text. Officer and Page, Ref. 76, p. 111. Return to text. Zoller, W.H., Parrington, J.R. and Phelan Kotra, J.M., Iridum enrichment in airborne particles from Kilauea Volcano: January 1983, Science 222:1118–1121, 1983. Return to text. Officer and Page, Ref. 76, pp. 124–129. Return to text. Officer, Ref. 75, p. 38. Return to text. McCartney, K., Huffman, A.R. and Tredoux, M., A paradigm for endogenous causation of mass extinctions. In: Global Catastrophes in Earth History: An Interdisciplinary Conference on Impacts, Volcanism, and Mass Mortality, V.L. Sharpton and P.D. Ward (eds), Special Paper 247, Geological Society of America, Boulder, Colorado, pp. 125–138, 1990. Return to text. de Silva, S.L., Wolff, J.A. and Sharpton, V.L., Explosive volcanism and associated pressures; implications for models of endogenically shocked quartz. In: Global Catastrophes in Earth History: An Interdisciplinary Conference on Impacts, Volcanism,and Mass Mortality, V.L. Sharpton and P.D. Ward (eds), Special Paper 247, Geological Society of America, Boulder, Colorado, pp. 139–145, 1990. Return to text. Sharpton, V.L. and Grieve, R.A.F., Meteorite impact, cryptoexplosion, and shock metamorphism; a perspective on the evidence at the K/T boundary. In: Global Catastrophes in Earth History: An Interdisciplinary Conference on Impacts, Volcanism, and Mass Mortality, V.L. Sharpton and P.D. Ward (eds), Special Paper 247, Geological Society of America, Boulder, Colorado, pp. 301–318, 1990. Return to text. Officer and Page, Ref. 76, pp. 122–123. Return to text. Crocket, J.H., Officer, C.B., Wezel, F.C. and Johnson, G.D., Distribution of noble metals across the Cretaceous/Tertiary boundary at Gubbio, Italy: iridium variation as a constraint on the duration and nature of Cretaceous/Tertiary boundary events, Geology 16:77–80, 1988. Return to text. McCartney et al., Ref. 82, p. 129. Return to text. Alexander, R.M., Dynamics of Dinosaurs and Other Extinct Giants, Columbia University Press, New York, p. 146, 1989. Return to text. Officer and Drake, Ref. 73, p. 1386. Return to text. Rampino and Reynolds, Ref. 72, pp. 496–497. Return to text. Patrusky, B., Mass extinctions; the biological side, Masaic17(4):2–13, 1986/7. Return to text. Anonymous, Asteroid impact and mass extinction, EOS 63(5):142, 1982. Return to text. Archibald, J.D. and Clemens, W.A., Late Cretaceous extinctions, American Scientist 70:377–385, 1982. Return to text. Officer and Page, Ref. 76, p. 98. Return to text. McCartney et al., Ref. 82, p. 127. Return to text. Ganapathy, R., Evidence for a major meteorite impact on the earth 34 million years ago: implication for Eocene extinctions, Science 216:885–886, 1982. Return to text. Alvarez, W., Asaro, F., Michel, H.V. and Alvarez, L.W., Iridium anomaly approximately synchronous with terminal Eocene extinctions, Science 216:886–888, 1982. Return to text. Donovan, S.K., Iridium anomalous no longer? Nature 326:331–332, 1987. Return to text. Orth, C.J., Geochemistry of the bio-event horizons. In: Mass Extinctions: Processes and Evidence, S.K. Donovan (ed. ), Columbia University Press, New York, pp. 37–72, 1989. Return to text. Orth, C.J., Attrep Jr., M. and Quintana, L.R., Iridium abundance patterns across bio-event horizons in the fossil record. In: Global Catastrophes in Earth History: An Interdisciplinary Conference on Impacts, Volcanism, and Mass Mortality, V.L. Sharpton and P.D. Ward (eds), Special Paper 247, Geological Society of America, Boulder, Colorado, pp. 45–59, 1990. Return to text. Clymer, A.K., Bice, D.M. and Montanari, A., Shocked quartz from the late Eocene: impact evidence from Massignano, Italy, Geology 24:483–486, 1996. Return to text. Langenhorst, F. and Clymer, A.K., Characteristics of shocked quartz in late Eocene impact ejecta from Massignano (Ancona, Italy): clues to shock conditions and source crater, Geology 24:487–490, 1996. Return to text. Leroux, H., Warme, J.E. and Doukhan, J.-C., Shocked quartz in the Alamo breccia, southern Nevada: evidence for a Devonian impact event, Geology 23:1003–1006, 1995. Return to text. Donovan, Ref. 24, p. 25. Return to text. Patrusky, Ref. 93. Return to text. Officer and Page, Ref. 76, pp. 46–60. Return to text. Kent, D.V., Asteroid extinction hypothesis, Science 211:648, 650, 1981. Return to text. Oard, Ref. 5, p. 48. Return to text. Rampino and Reynolds, Ref. 72, p. 497. Return to text. Huribert, S.H. and Archibald, J.D., No statistical support for sudden (or gradual) extinction of dinosaurs, Geology 23:881–884, 1995. Return to text. Officer and Page, Ref. 76, pp. 151–155. Return to text. Williams, M.E., Catastrophic versus noncatastrophic extinction of the dinosaurs: testing, falsifiability, and the burden of proof, J. Paleontology 68:183–190, 1994. Return to text. Hut, P., Alvarez, W., Elder, W.P., Hansen, T., Kauffman, E.G., Keller, G., Shoemaker, E.M. and Weissman, P.R., Comet showers as a cause of mass extinctions,Nature 329:118–126, 1987. Return to text. McCartney et al., Ref. 82, p. 125. Return to text. Colodner, D.C., Boyle, E.A., Edmond, J.M. and Thomson, J., Post-depositional mobility of platinum, iridium and rhenium in marine sediments, Nature 358:402–404, 1992. Return to text. Dressler, B.O., Grieve, R.A.F. and Sharpton, V.L., Preface. In: Large Meteorite Impacts and Planetary Evolution, B.O. Dressler, R.A.F. Grieve and V.L. Sharpton (eds), Special Paper 293, Geological Society of America, Boulder, Colorado, p. vii, 1994. Return to text. Marvin, U.B., Impact and its revolutionary implications for geology. In: Global Catastrophes in Earth History: An Interdisciplinary Conference on Impacts, Volcanism, and Mass Mortality, V.L. Sharpton and P.D. Ward (eds), Special Paper 247, Geological Society of America, Boulder, Colorado, pp. 147–154, 1990. Return to text. Bruns, P., Dullo, W.-C., Hay, W.W., Wold, C.N. and Pernicka, E., Iridium concentration as an estimator of instantaneous sediment accumulation rates, J.edimentary Research 66:610, 1996. Return to text. Officer and Page, Ref. 76. Return to text. Glen, Ref. 25, p. 46. Return to text. Raup, D.M., The extinction debates: a view from the trenches. In: The Mass-Extinction Debates: How Science Works in a Crisis, W. Glen (ed. ), Stanford University Press, Stanford, California, p. 151, 1994. Return to text. Glen, Ref. 25, pp. 39–91. Return to text. Glen, W., On the mass-extinction debates: an interview with Stephen Jay Gould. In: The Mass-Extinction Debates: How Science Works in a Crisis, W. Glen (ed. ), Stanford University Press, Stanford, California, p. 261, 1994. Return to text. Officer and Page, Ref. 76, pp. 82–95. Return to text. Glen, Ref. 25, p. 79. Return to text. Glen, W. (ed. ), The Mass-Extinction Debates: How Science Works in a Crisis, Stanford University Press, Stanford, California, 1994. Return to text. Glen, Ref. 25, pp. 47, 48, 87. Return to text. Paul, G.S., Dinosaur reproduction in the fast lane: implications of size, success, and extinction. In: Dinosaur Eggs and Babies, K. Carpenter, K.F. Hirsch and J.R. Horner (eds), Cambridge University Press, London, pp. 252–253, 1994. Return to text. Holroyd, III, E.W., Comments on the fossils of Dinosaur Ridge, CRSQ29:6–13, 1992. Return to text. Holroyd, III, E.W., Confirmation from a debris flow at a forest fire site, CRSQ 33:141–151, 1996. Return to text. Holroyd, III, E.W., Observations of fossil material and charcoalized wood in the Dakota Formation in Colorado and Wyoming, CRSQ 33:170–175, 1996. Return to text. Glen, W., On the mass-extinction debates: an interview with William A. Clemens. In: The Mass-Extinction Debates: How Science Works in a Crisis, W. Glen (ed. ), Stanford University Press, Stanford, California, p. 243, 1994. Return to text. Carpenter, K., Dilkes, D. and Weishampel, D.B., The dinosaurs of the Niobrara Chalk Formation (Upper Cretaceous, Kansas), J. Vertebrate Paleontology 15:275–297, 1995. Return to text. Horner, J.R., Upper Cretaceous dinosaurs from the Bearpaw Shale (marine) of south-central Montana with a checklist of upper Cretaceous dinosaur remains from marine sediments in North America, J. Paleontology 53:566–577, 1979. Return to text. Fiorillo, A.R., The first occurrence of hadrosaur (dinosauria) remains from the marine Claggett Formation, Late Cretaceous of south-central Montana, J. Vertebrate Palentology 10:515–517, 1990. Return to text. Bakker, Ref. 38, pp. 1–481. Return to text. Fastovsky and Weishampel, Ref. 11, pp. 1–460. Return to text. Colbert, E.H., Men and Dinosaurs, E.P. Dutton and Co., New York, 1968. Return to text. Varricchio, D.J. and Horner, J.R., Hadrosaurid and lambeosaurid bone beds from the Upper Cretaceous Two Medicine Formation of Montana: taphonomic and biological implications, Canadian J. Earth Sciences 30:997–1006, 1993. Return to text. Horner, J.R. and Gorman, J., Digging Dinosaurs, Workman Publishing, New York, 1988. Return to text. Horner and Gorman, Ref. 144, p. 122. Return to text. Horner and Gorman, Ref. 144, pp. 122, 123. Return to text. Holroyd, III, E.W., Oard, M.J. and Petersen, D., Opportunities for creationist studies at the Hanson Ranch, Roxson, Wyoming, CRSQ 33:136–140, 1996. Return to text. Currie, P.J., Hunting dinosaurs in Alberta’s great bone-bed, Canadian Geographic 101:34–39, 1981. Return to text. Wood, J.M., Thomas, R.G. and Visser, J., Fluvial processes and vertebrate taphonomy: the Upper Cretaceous Judith River Formation, south-central Dinosaur Provincial Park, Alberta, Canada, Palaeogeography, Palaeoclimatology, Palaeoecology 66:127–143, 1988. Return to text. Williams, Ref. 115, p. 184. Return to text. Colbert, Ref. 142, p. 162. Return to text. Stokes, W.L., The Cleveland-Lloyd Dinosaur Quarry: Window to the Past, Bureau of Land Management, US Department of the Interior, Washington, DC, 1985. Return to text. Colbert, Ref. 142, p. 173. Return to text. Bakker, Ref. 38, p. 39. Return to text. Fastovsky and Weishampel, Ref. 11, pp. 190–194. Return to text. Morell, V., New African dinosaurs give an old world a novel look, Science 266:219–220, 1994. Return to text. Lessem, D., Kings of Creation—How a New Breed of Scientists is Revolutionizing Our Understanding of Dinosaurs, Simon and Schuster, New York, pp. 123–148, 1992. Return to text. Lessem, Ref. 157, pp. 225–256. Return to text. Dashzeveg, D., Novacek, M.J., Norell, M.A., Clark, J.M., Chiappe, L.M., Davidson, A., McKenna, M.C., Dingus, L., Swisher, C. and Altangerel, O., Extraordinary preservation in a new vertebrate assemblage from the Late Cretaceous of Mongolia, Nature 374:446–449, 1995. Return to text. Dong, Z.-M., On the discovery of an oviraptorid skeleton on a nest of eggs at Bayan Mandahu, Inner Mongolia, People’s Republic of China, Canadian J. Earth Sciences33:631–636, 1996. Return to text. Weishampel, D.B., Brooding with the best, Nature 376:764–765, 1996. Return to text. Rogers, R.R., Taphonomy of three dinosaur bone beds in the Upper Cretaceous Two Medicine Formation of northwestern Montana: evidence for drought-related mortality, Palaios 5:394–413, 1990. Return to text. Varricchio and Horner, Ref. 143. Return to text. Coombs, Jr., W.P., Behavior patterns of dinosaurs. 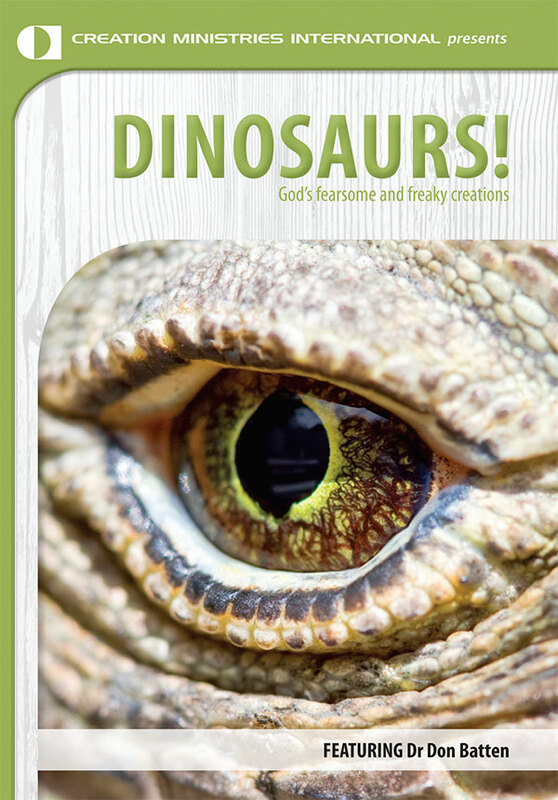 In: The Dinosauria, D.B. Weishampel, P. Dodson and H. Osmólska (eds), University of California Press, Berkeley, California, pp. 33–34, 1991. Return to text. Coombs, Ref. 164, p. 33. Return to text. Horner, J.R., Comparative taphonmy of some dinosaur and extant bird colonial nesting grounds. In: Dinosaur Eggs and Babies, K. Carpenter, K.F. Hirsch and J.R. Horner (eds), Cambridge University Press, London, p. 121, 1994. Return to text. Horner and Gorman, Ref. 144, p. 27. Return to text. Currie, Ref. 148. Return to text. Bakker, Ref. 38, pp. 110–112 . Return to text. Rogers, Ref. 162. Return to text. Currie, P.J. and Jacobsen, A.R., An azhdarchid pterosaur eaten by a velociraptorine theropod, Canadian J. Earth Sciences 32:922–925, 1995. Return to text. Oard, Ref. 5. Return to text. Barnette, D.W. and Baumgardner, J.R., Patterns of ocean circulation over the continents during Noah’s Flood. In: Proceedings of the Third International Conference on Creationism, R.E. Walsh (ed. ), Creation Science Fellowship, Pittsburgh, Pennsylvania, pp. 77–86, 1994. Return to text. Walker, T., A biblical geological model. In: Proceedings of the Third International Conference on Creationism, R. E. Walsh (ed. ), Creation Science Fellowship, Pittsburgh, Pennsylvania, pp. 581–592, 1994. Return to text. Gillette and Lockley, Ref. 14. Return to text. Lockley, Ref. 15. Return to text. Lockley and Hunt, Ref. 16. Return to text. Lockley and Hunt, Ref. 16, p. 18. Return to text. Lockley, Ref. 15, pp. 136–138. Return to text. Dobson, P., Behrensmeyer, A.K., Bakker, R.T. and McIntosh, J.S., Taphonomy and paleoecology of the dinosaur beds of the Jurassic Morrison Formation,Paleobiology 6(2):228, 1980. Return to text. Dobson et al., Ref. 182, p. 218. Return to text. Stokes, Ref. 152, p. 3. Return to text. Lockley, M.G., Dinosaur ontogeny and population structure: interpretations and speculations based on fossil footprints. In: Dinosaur Eggs and Babies, K. Carpenter, K.F. Hirsch and J.R. Horner (eds), Cambridge University Press, London, pp. 347–365, 1994. Return to text. Lockley and Hunt, Ref. 16, p. 165. Return to text. Lockley, Ref. 15, pp. 31–32. Return to text. Lockley and Hunt, Ref. 16, pp. 121, 207. Return to text. Coombs, Ref. 164, p. 42. Return to text. Lockley, Ref. 185, p. 359. Return to text. Lockley and Hunt, Ref. 16, pp. 229, 231. Return to text. Currie, P.J., Hadrosaur trackways from the Lower Cretaceous of Canada, Acta Palaeontologica Polonica 28:63–73, 1983. Return to text. Currie, P.J., Nadon, G.C. and Lockley, M.G., Dinosaur footprints with skin impressions from the Cretaceous of Alberta and Colorado, Canadian J. Earth Sciences28:102–115, 1991. Return to text. Lockley and Hunt, Ref. 16, pp. 152–153. Return to text. Barnette and Baumgardner, Ref. 173. Return to text. Carpenter, K., Hirsch, K.F. and Horner, J.R. (eds), Dinosaur Eggs and Babies, Cambridge University Press, London, 1994. Return to text. Norell, M.A., Clark, J.M, Demberelyin, D., Rhinchen, B., Chiappe, L.M., Davidson, A.R., McKenna, M.C., Altangerel, P. and Novacek, M.J., A theropod dinosaur embryo and the affinities of the Flaming Cliffs dinosaur eggs, Science 266:779–782, 1994. Return to text. Horner and Gorman, Ref. 144. Return to text. Horner, Ref. 166. Return to text. Horner, J.R. and Currie, P.J., Embryonic and neonatal morphology and ontogeny of a new species of Hypacrosaurus (Ornithischia, Lambeosauridae) from Montana and Alberta. In: Dinosaur Eggs and Babies, K. Carpenter, K.F. Hirsch and J.R. Horner (eds), Cambridge University Press, London, pp. 312–336, 1994. Return to text. Garner, P., Where is the Flood/post-Flood boundary? Implications of dinosaur nests in the Mesozoic, TJ 10(1):101–113, 1996. Return to text. Garner, P., Robinson, S., Garton, M. and Tyler, D., Comments on polar dinosaurs and the Genesis Flood, CRSQ 32:232–234, 1996. Return to text. Robinson, S.J., Can Flood geology explain the fossil record? J. Creation 10(1):59–60, 1996. Return to text. Horner, J.R., Evidence of colonial nesting and ‘site fidelity’ among ornithischian dinosaurs, Nature 297:675–676, 1982. Return to text. Horner, Ref. 205. Return to text. Garner, Ref. 202, p. 103. Return to text. Oard, M.J., Where is the Flood/post-Flood boundary in the rock record?, J. Creation 10(2):273–274, 1996. /li> Return to text. Horner and Currie, Ref. 201. Return to text. Oard, M.J., Polar dinosaurs: response to Garner, Robinson, Garton, and Tyler, CRSQ 32:237–239, 1996. Return to text. Horner, Ref. 166, p. 117. Return to text. Brown, R.H., personal communication. Return to text. Holt, R., personal communication. Return to text. Horner, Ref. 22. Return to text. Hirsch, K.F. and Quinn, B., Eggs and eggshell fragments from the Upper Cretaceous Two Medicine Formation of Montana, J. Vertebrate Paleontology 10:491–511, 1990. Return to text. Horner, J.R. and Weishampel, D.B., A comparative embryological study of two ornithischian dinosaurs, Nature 383:103, 1996. Return to text. Varricchio, D.J., Jackson, F., Borkowski, J.J. and Horner, J.R., Nest and egg clutches of the dinosaur Troödon formosus and the evolution of avian reproductive traits,Nature 385:247–250, 1997. Return to text. Montellano, M., Alphadon halleyi (Didelphidae, marsupialia) from the Two Medicine Formation (Late Cretaceous, Judithian) of Montana, J. Vertebrate Paleontology 8:378–382, 1988. Return to text. Padian, K., A large pterodactyloid pterosaur from the Two Medicine Formation (Campanian) of Montana, J. Vertebrate Paleontology 4:516–524, 1984. Return to text. Padian, K. and Smith, M., New light on Late Cretaceous pterosaur material from Montana, J. Vertebrate Paleontology 12: 87–92, 1992. Return to text. Horner and Gorman, Ref. 144, pp. 113, 161. Return to text. Horner and Gorman, Ref. 144, p. 160. Return to text. Horner, J.R. and Weishampel, D.B., Dinosaur eggs: the inside story, Natural History 98(12):66, 1989. Return to text. Fastovsky and Weishampel, Ref. 11, p. 287. Return to text. Lorenz, J.C., Sedimentary and Tectonic History of the Two Medicine Formation, Late Cretaceous (Campanian), Northwestern Montana, Ph.D. thesis, Princeton University, Princeton, New Jersey, pp. 110–117, 1981. Return to text. Gavin, W.M.B., A Paleoenvironmental Reconstruction of the Cretaceous Willow Creek Anticline Dinosaur Nesting Locality: North Central Montana, M.S. thesis, Montana State University, Bozeman, Montana, 1986. Return to text. Woodmorappe, J., personal communication, www.rae.org. Return to text. Geist, N.R. 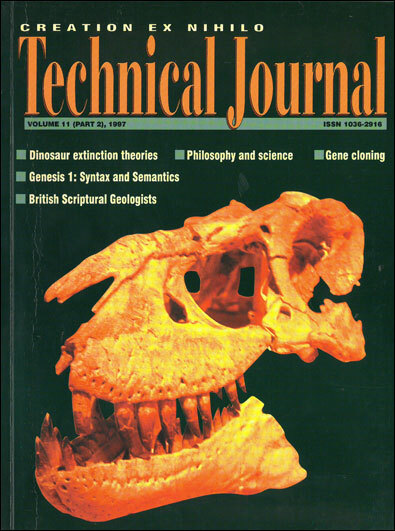 and Jones, T.D., Juvenile skeletal structure and the reproductive habits of dinosaurs, Science 272:712–714, 1996. Return to text. Hirsch, K.F., Interpretations of Cretaceous and pre-Cretaceous eggs and shell fragments. In: Dinosaur Tracks and Traces, D.D. Gillette and M.G. Lockley (eds), Cambridge University Press, New York, pp. 89–97, 1989. Return to text. Jain, S.L., Recent dinosaur discoveries in India, including eggshells, nests and coprolites. In: Dinosaur Tracks and Traces, D.D. Gillette and M.G. Lockley (eds), Cambridge University Press, New York, pp. 99–102, 1989. Return to text. Hirsch, K.F., The fossil record of vertebrate eggs. In: The Palaeobiology of Trace Fossils, S. K. Donovan (ed. ), The Johns Hopkins University Press, Baltimore, p. 280, 1994. Return to text. Hirsch, K.F., Stadtman, K.L., Miller, W.E. and Madsen, Jr., J.H., Upper Jurassic dinosaur egg from Utah, Science 243:1711–1713, 1989. Return to text. Hirsch, Ref. 238. Return to text. Jain, Ref. 239. Return to text. Zhao, Z.-K., Dinosaur eggs in China: on the structure and evolution of eggshells. In: Dinosaur Eggs and Babies, K., Carpenter, K.F. Hirsch and J.R. Horner (eds), Cambridge University Press, London, pp. 184–203, 1994. Return to text. Hirsch, Ref. 240, pp. 269–294. Return to text. Hirsch, K.F., Upper Jurassic eggshells from the western interior of North America. In: Dinosaur Eggs and Babies, K. Carpenter, K.F. Hirsch and J.R. Horner (eds), Cambridge University Press, London, pp. 137–150, 1994. Return to text. Norman, D.B., Embryos in dinosaur nests, Nature 332:202–203, 1988. Return to text. Anonymous, Ref. 20. Return to text. 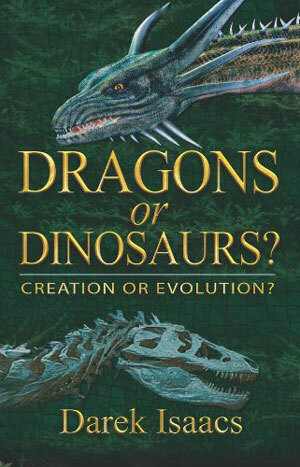 O’Brien, C., Dinosaur embryos spark excitement, concern, Science 267:760, 1995. Return to text. Hunter, M.J., Is the pre-Flood/Flood boundary in the Earth’s mantle? TJ 10(3):344–357, 1996. Return to text. Holt, R., Evidence for a Late Cainozoic Flood/post-Flood boundary, TJ 10(1):140–142, 1996. Return to text. Auldaney, J., Asteroids and their connection to the Flood. In: Proceedings of the Twin-Cities Creation Conference, Northwestern College, Roseville, Minnesota, pp. 133–136, 1992. Return to text. Auldaney, J., Asteroid hypothesis for dinosaur extinction, CRSQ31:11–12, 1994. Return to text. Froede, Jr., C.F. and deYoung, D.B., Impact events within the young-earth Flood model, CRSQ 33:23–34, 1996. Return to text. Oard, M.J., Response to comments on the asteroid hypothesis for dinosaur extinction, CRSQ 31: 12, 1994. Return to text. Desonie, D., The threat from space, Earth 5(4):29, 1996. Return to text. Holt, Ref. 251, pp. 128–167. Return to text. Oard, Ref. 208, pp. 258–278. Return to text. Morris, H.M., The geological column and the Flood of Genesis, CRSQ	33:49–57, 1996. Return to text. Holt, Ref. 251, pp. 131–139. Return to text. deYoung, D.B., Age of the Arizona Meteor Crater, CRSQ 31:153–158, 1994. Return to text. Oard, Ref. 208, pp. 271–273. Return to text. Fastovsky and Weishampel, Ref. 11, p. 391. Return to text. Archibald, J.D., Major extinctions of land-dwelling vertebrates at the Cretaceous-Tertiary boundary, eastern Montana: comment and reply, Geology 21:91, 1993. Return to text. Archibald and Clemens, Ref. 95, p. 378. Return to text. Olsson, R.K. and Liu, C., Controversies on the placement of Cretaceous-Paleogene boundary and the K/P mass extinction of planktonic foraminifera, Palaios 8:127, 1993. Return to text. Glen, Ref. 25, pp. 77, 78. Return to text. Schopf, T.J.M., Cretaceous endings, Science 211:571–572, 1981. Return to text. Surlyk, F., The Cretaceous-Tertiary boundary event, Nature 285:187–188, 1980. Return to text. Alvarez, W. and Lowrie, W., Upper Cretaceous to Eocene pelagic limestones of the Scaglia Rossa are not Miocene turbidites, Nature 294:245–247, 1981. Return to text. Officer and Draker, Ref. 73, pp. 1385, 1386. Return to text. Fastovsky and Weishampel, Ref. 11, p. 385. Return to text. Cousin, R., Breton, G., Fournier, R. and Watt, J.-P., Dinosaur egglaying and nesting in France. In: Dinosaur Eggs and Babies, K. Carpenter, K.F. Hirsch and J.R. Horner (eds), Cambridge University Press, London, p. 57, 1994. Return to text. Sahni, A., Tandon, S.K., Jolly, A., Bajpai, S., Sood, A. and Srinivasan, S., Upper Cretaceous dinosaur eggs and nesting sites from the Deccan volcano-sedimentary province of peninsular India. In: Dinosaur Eggs and Babies, K. Carpenter, K.F. Hirsch and J.R. Horner (eds), Cambridge University Press, London, p. 208, 1994. Return to text. Alvarez et al., Ref. 99, p. 888. Return to text. Sloan, R.E., Rigby, Jr., J.K., Van Valen, L.M. and Gabriel, D., Gradual dinosaur extinction and simultaneous ungulate radiation in the Hell Creek Formation, Science 232:629–633, 1986. Return to text. Rigby, Jr., J.K., Newman, K.R., Smit, J., Van Der Kaars, S., Sloan, R.E. and Rigby, J.K., Dinosaurs from the Paleocene part of the Hell Creek Formation, McCone County, Montana, Palaios 2: 296–302, 1987. Return to text. Briggs, J.C., Mass extinction: fact or fallacy? In: The Mass- Extinction Debates: How Science Works in a Crisis, W. Glen (ed. ), Stanford University Press, Stanford, California, p. 233, 234, 1994. Return to text. Sloan et al., Ref. 280, p. 629. Return to text. Fastovsky, D.E. and Dott, Jr., R.H., Sedimentology, stratigraphy, and extinctions during the Cretaceous-Paleogene transition at Bug Creek, Montana, Geology 14:279–282, 1986. Return to text. MacLeod, K.G. and Huber, B.T., Strontium isotopic evidence for extensive reworking in sediments spanning the Cretaceous-Tertiary boundary at ODP Site 738, Geology 24:463–466, 1996. Return to text. Olsson and Liu, Ref. 266, pp. 127-139. Return to text. Archibald and Clemens, Ref. 95, p. 179. Return to text. Glen, Ref. 25, p. 78. Return to text. Olsson and Liu, Ref. 266, p. 127. Return to text. Jablonski, D., Comparisons among mass extinctions. In; Dynamics of Extinction, D.K. Elliot (ed. ), John Wiley and Sons, New York, pp. 183–229, 1986. Return to text. Jones, D.S., Mueller, P.A., Bryan, J.R., Dobson, J.P., Channell, J.E.T., Zachos, J.C. and Arthur, M.A., Biotic, geochemical, and paleomagnetic changes across the Cretaceous/Tertiary boundary at Braggs, Alabama, Geology 15:311–315, 1987. Return to text. Bruns et al., Ref. 121, pp. 608–612. Return to text. Lofgren, D.L., Hotton, C.L. and Runkel, A.C., Reworking of Cretaceous dinosaurs into Paleocene channel deposits, upper Hell Creek Formation, Montana, Geology 18:874–877, 1990. Return to text. Braman, D.R. and Eberth, D.A., Palaeontology and Geology of the Edmonton Group (Late Cretaceous to Early Palaeocene), Red Deer River Valley, Alberta, Canada, Occasional Paper #2, Tyrrell Museum of Palaeontology, Drumheller, Alberta, Canada, p. 18, 1987. Return to text.